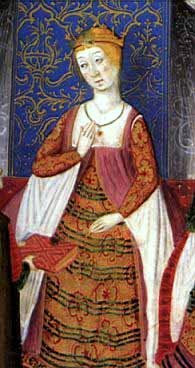 The Astro Databank offers the following natal data for Queen Isabella I of Castile. 22 April 1451 Jul.Cal. (1 May 1451 greg.) at 16:40 (= 4:40 PM ) Place Madrigal de las Altas Torres, Spain, 41n05, 5w0 Timezone LMT m5w0 (is local mean time). Rodden gives it a AA rating. Although I’m comfortable with the date, there is reason to believe the time is off by about two hours. Rectification is made a bit easier if we have a good image of the person whose chart we are adjusting. Regrettably , portraits of Isabella differ considerably. That still leaves us with scores of techniques, but I’m going to use just a few of them that work well in situations like this..
Rectification is a core skill for any astrologer. One needs to learn to recognize what I will call astrological discrepancies. For example, it is not a difficult task to recognize whether Saturn is in the First House or the Twelfth. there are physical and temperamental differences. One need only look and ask a few simple questions. The same goes for any planet or luminary. However, other potential house misplacements are more subtle and require other means. She was tenacious, famously stubborn and excessively jealous. She was courageous beyond all expectations. She could also be fanatical, particularly in matters of religion and it is this trait that has left the darkest legacy. Sometimes our virtues are our vices taken to the extreme. As a savvy Queen, she was blessed with great statesmen, but the final decisions were very much her own. She was determined to turn a conglomerate of states into a unified, Christian Spain. She was shrewd enough to be the only monarch to supply and offer her patronage to a young Christopher Columbus,. 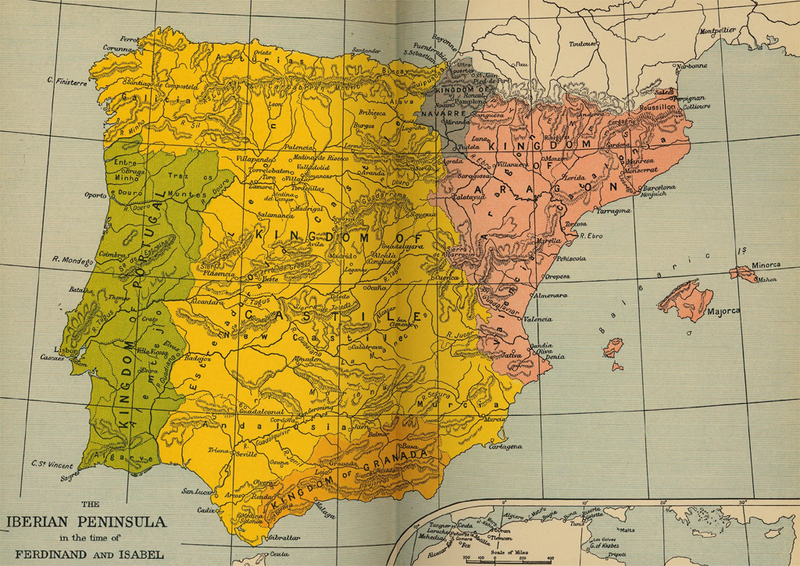 Because of the immense groundwork done by Isabella and Ferdinand, Spain became a united and affluent state. Below is the chart as shown on Astro Databank. Here we find both Mercury and Venus retrograde in Aries and on the Descendant, disposited by Mars in the Ninth and of course in Mutual reception with Mercury. An Airy Mars dispositing a weak and retrograde Mercury in Venus in Aries. is a recipe for volatile jealousy. However, it would seem to fit better if Mercury and Venus were in the Eighth and Mars in the Tenth. We can return to this chart, but for how I have good reason to consider alternative times. Mercury is conjunct the Pillar of the Horoscope ( Lot). This is true in both charts and draws attention to the importance of Mercury as the Lord of the Ascendant in the rectified chart. The suggested rectification is for the same place and date but for two hours earlier. We can refine this, but this is good place to start. Instead of the Sun in the Eight and Libra Ascending, we know have a Ninth House Sun with the Part of Eros (Venus) and a Mercurial Virgo Ascending. The Sun in the Ninth House of God is in his Joy. The placement accompanied by the Part of Eros speaks of intense piety, as was not shown in the previous chart. Ferdinand and Isabella had seven children;, five of whom survived to adulthood. Although neither one of the Houses of Children seems to support that, there is in fact an enormous difference. In the rectified chart the Lord of the Fifth House changes from dry, barren Aquarius to Capricorn which is a semi fruitful sign. In itself, this is slight, but when we consider that the Lord of the Fifth is disposited by Venus and that the Lord of the Seventh is now Jupiter and the Lord of the Eleventh is the Moon. The overall picture, by no means ideal, is immeasurably better than what we had in the first chart. Perhaps we may allow ourselves to ponder the significance of Pisces in the House of Partners, signifying, confidante-like relationships, including interaction with priests, marriage and business partners, agreements and treaties, matters dealing with diplomatic relations of all kinds, including open (known) enemies and attraction to qualities we admire from the other partner. I do not think it irrelevant that Ferdinand was a Solar Pisces. The alternative is Mars as Lord of the Seventh House, complete with Venus in detriment. This doesn’t fit. Mostly what we’ve done is move the houses over one place, but the results are considerable. Such things as the Part of Fortune and possibly the Hyleg will differ accordingly. The Lord of Manners is easily identified as Saturn and Isabella was in fact known for her austere demeanor and life in general. Her dominant humour is melancholic., secondarily choleric ( See Edwards, John. The Spain of the Catholic Monarchs 1474–1520. Blackwell Publishers Inc, 2000, p. 241-260 ). In the previous chart, Saturn would be in the Twelfth House an would radically change her stature and demeanour. There are a few things that convince me that the second chart is closer to the correct time. In this one, The Sun is parallel Regulus and Aldebaran. The Part of Fortune is conjunct Aldebaran. These are both royal stars of the first degree. In both charts Mars is overwhelmingly supported by Bellatrix and Betelgeuse and these are conjunct the mid-heaven in the rectified chart. Both are powerful stars. Bellatrix is a bright star in the shoulder of Orion which embodies the power of the Feminine. This one, far more than the first, is the chart of a great Queen, with intense religiosity and devotion. We have identified the volatile jealousy, replaced the infertility with far better conditions. The Lord of the Eleventh House is her Moon in detriment. This tells us that she was largely self reliant. These are fairly simple techniques for cases such as this one, where the main problem is the house and planetary positions providing a clearly inaccurate description based on what you know about the native. As stated in the article above, this wasn’t intended to be an exhaustive exercise, but rather to show some basic techniques for detecting an incorrect birth time. This was in part based on house placements that seemed to conflict with our knowledge of the native. I had made it very clear that there were several other techniques that might be applied to back up or fine tune our rectification. However, in light of recent queries I’m happy to show that the chart is proven closer to the exact time by other means. Again, there is a myriad of tools available. However, I’ve settled on the what is probably the simplest technique. I’m adding the Solar Revolution Charts for the Year 1470, when Isabella gave birth to her first child, who was also named Isabel. The first is the chart for the Rodden data. The second is for the rectified chart. I find it unnecessary to go into great detail here. The charts speak plainly enough. The one from Astro Databank (above) gives virtually no hint of childbirth. In fact had there been one at all, it would likely not have not gone full term. The Lord of the fifth house of children is a Mercurial Venus in the barren sign of Gemini. Morover, the Lord of Venus is Mercury retrograde in the Twelfth House with Saturn. There is mutual reception, but I can’t ss this being of much use in this case. We vcan look at the Seventh and Eleventh House, but we find the Lord of the Seventh also in a barren sign. The Eleventh tells us next to nothing. The Lord of the Eleventh is Mars in his Fall. The second chart is very different. Here we have Jupiter in Leo with the Part of Fortune, but in the Fourth House., disposited by the Sun in Venusian Taurus. This gives us some hope. Mercury, Lord of the Fifth, is still Retrograde, but he’s in his Joy in the first house. This is a very signicant difference. Mercury tends to take on some of the qualities of the sign we find him in. Taurus is a very fertile sign and Mercury can act here. Over all, the rectified chart is immeasurably better than the original, particularly indofar as it’s signatures of fertility. Both charts are Void of Course and neither gives us any of the Lots of parenthood as a guide. I’m still far more certain about the rectified chart. Neither chart is ideal, but the unrectified chart is clearly incorrect. Most spectacularly, Jupiter is in his Exatation is in the House of Partners. The Sun is in the Fifth House. The Part of Fortune is in the Royal sign of Leo. So we have an ongoing process. First there is the recognition that the chart is skewed, then step by step we narrow it down then test with Solar Revolution. Again, there are many other tools to use and many events we can try to nail down, but that really isn’t necessary. I’m convinced of the superiority of the rectification, although I make no claims to the exact degree. I’m primarly concerned with house placements and plausible planetary positions. This will meet most requirments in any case. Perhaps at some later time, we can discuss the finer tuning. 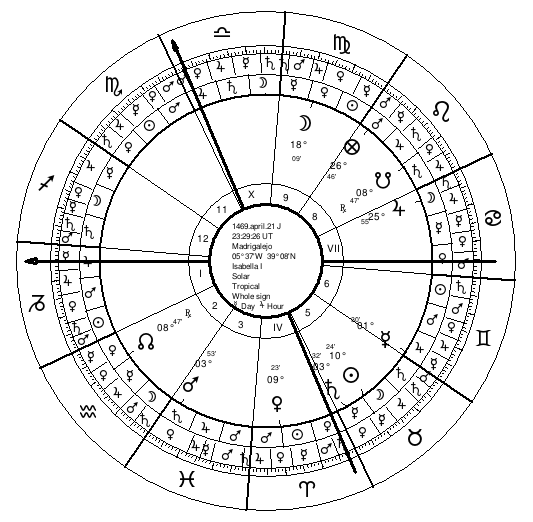 Drawing a chart for 0°Aries is an ancient tradition. 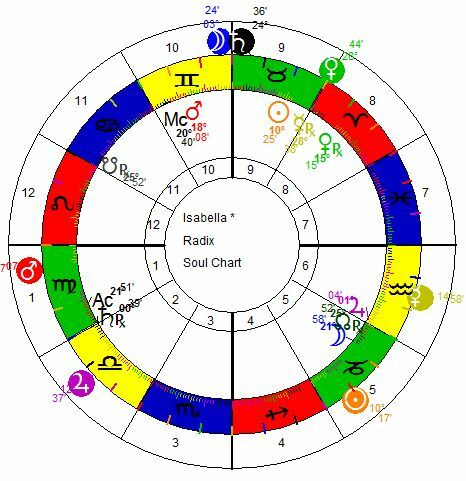 This is the astrological New Year and the chart is representative of who is the Lord of the Year and what we can expect the year to bring. 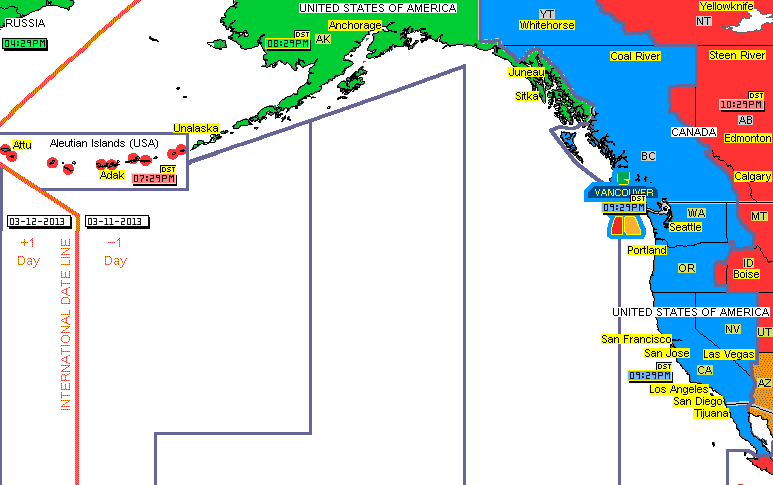 The Eastern boundary is roughly marked by the Rocky Mountains It covers several major cities including Vancouver, Victoria, Seattle, Portland, San Francisco and Los Angeles. The Coastal Range and the Olympian Range of mountains are within this zone, as are fault lines of various threat levels. First of all, I’m using Whole Sign Houses and referring to the same chart in Porphyry to measure relative strength. 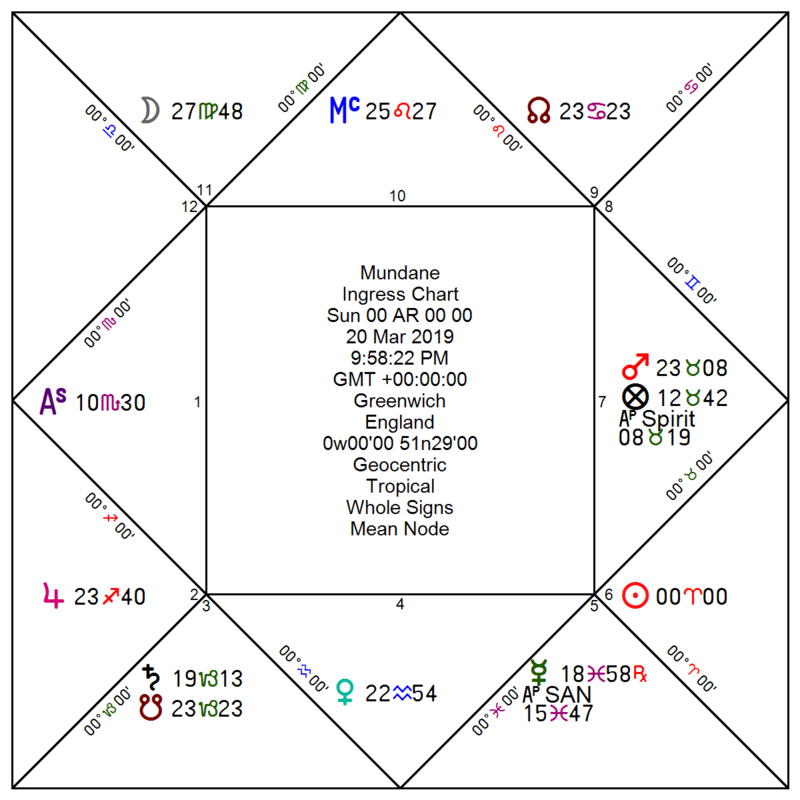 The chart is for the Day and Hour of Mars, with Mars Direct and in his Domicile. Mars is the chart Almuten. The Sun is the Lord of the Year and in his exaltation Mars disposits the Sun and Saturn, the latter being the Lord of the Ascendant.. There is a remarkably strong Martian signature, not all of which is obvious at first glance. They even share Face, so Mars and Sun will never be too far from each other with regard to intent. Some will argue that Mars is Under the Beams and therefore massively weakened at best. My view on this point is that ignoring the relatedness of Sun and Mars would be careless and ultimately misleading. I believe most seasoned astrologers would agree. When valid considerations become unquestioned dogma, they can often lose their original intent and cause unnecessary oversights. This is a Night Chart, so Mars is in Sect and applying to the Ascendant. In this case at least, we have two hot masculine planets, both dry. One is exaltation of the other, which in turn provides the domicile of the second. Of course they will act together. The Part of Mars is in the Second Whole Sign House. Rhetorius tell us that “The Lot of Mars or Boldness is indicative of rashness and treachery and strength and every form of villainy” (Rhetorius p. 26). He is disposited by Saturn and doesn’t do well in the Second House. . Economic growth is curtailed. There will be water shortages and food costs will increase accordingly. The Lot of Saturn is also called retribution. Here we find him in the Opposite topos as the Ascendant. 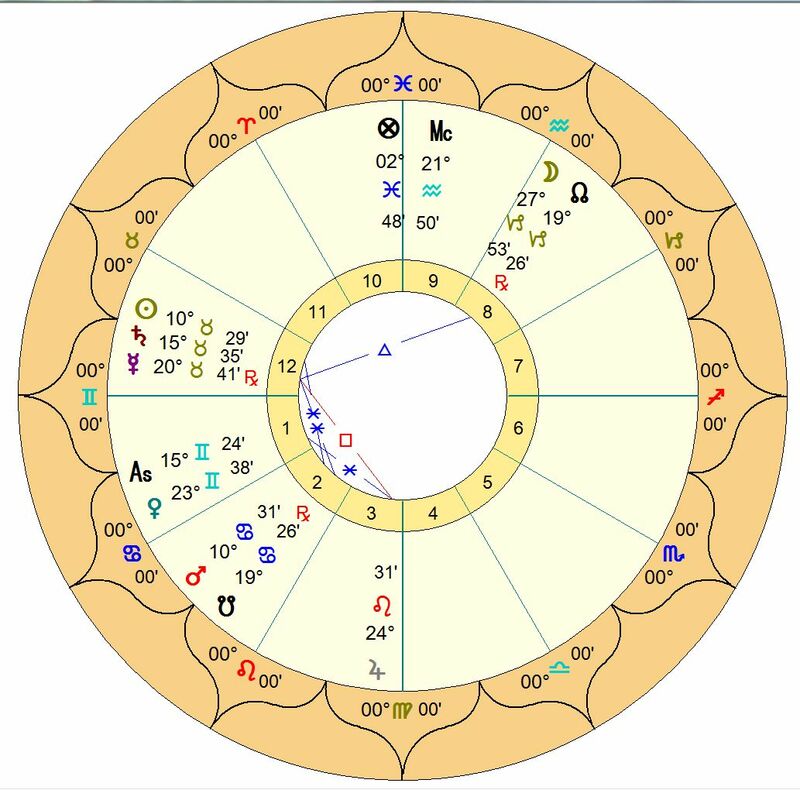 Although less than ideal, I can’t see this amounting to much harm in and of itself because its nature is the same as the Ascendant..
Luna is in her own Domicile, separating from a Square to Mars and would transfer light to Saturn via an applying Trine to Scorpio. There is a problem here because Saturn is Retrograde, in the disposition of Mars and Lord of the Ascendant. Saturn and the Moon have no reception. However it’s important to note that Luna is Parallel Arcturus, a significant Fixed Star of the nature of Mars and Jupiter. 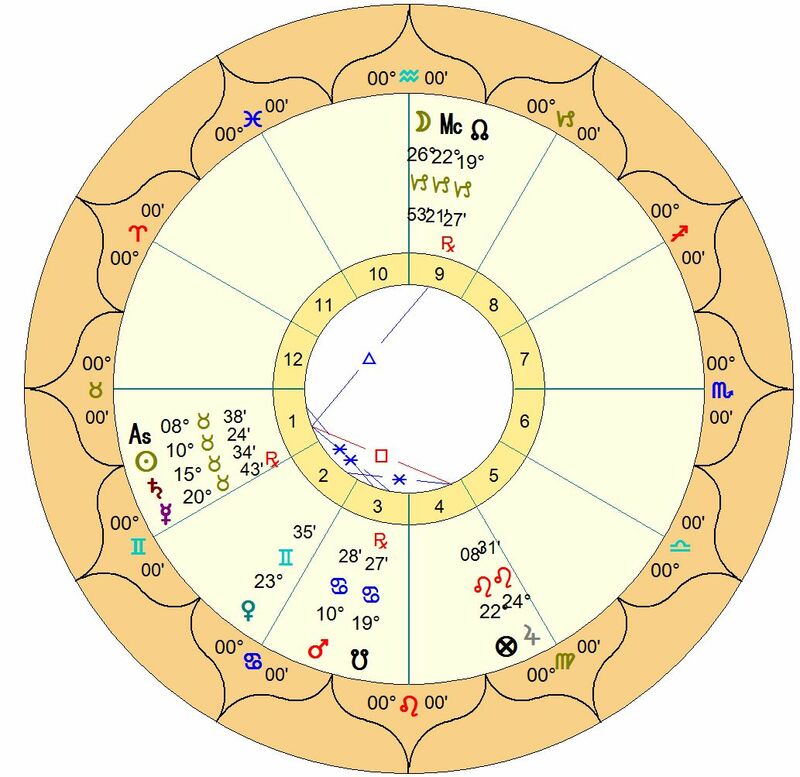 The Moon has also just departed from a Trine with Mercury in his Fall and departing from a Cardinal Square with the Part of Fortune. But she is also applying to an Exalted Venus in the Third House. Jupiter is Direct, but in his Detriment and in the Face of Mars. Porphyry houses place Jupiter in the Fifth, affording a bit more relative strength. This is a bright spark in the horoscope, but Saturn ( Whole Sign) is Almuten of the Tenth House. All things considered this chart bodes well for women and particularly if they are in a position of authority. Venus exalted is in the Third House of the Goddess. The Sixth House is Unfortunate and Jupiter is limited by all these considerations. It is Fortunate however that Venus is Exalted and Dispositing the Tenth House Part of Fortune. Mars is Almuten of the Fourth and Eleventh House, while the Sun is Almuten of the Eighth House. Fomalhaut, the Mouth of the Fish is conjunct Mercury, being of his own nature as well as that of Venus. Jupiter is with the very powerful star, Aldebaran, the follower of the Pleiads. This star is said to be of the nature of Mars. He is called the Eye of God and is also associated with blindness. This latter combination makes for a prophetic or highly intuitive mind, even with Mercury in Pisces. The Stars really change the formula. Also, the Part of Jupiter is in the Ninth House, lending more spiritual discernment to the overall picture. There will be increased seismic activity, particularly during May and September, although a heightened threat is present throughout the year. I am not predicting a major catastrophe for Vancouver or Victoria, although those on the West Coast of the Island should be vigilant. This heightened warning also applies to Haida Gwaii and the Coastal regions of the Olympia Range. Spring will be relatively warm and damp. Weather will become progressively dry. As the year unfolds there will be excessive heat and some drought, at its worst in the South of California. When the Sun enters his own House in Leo, there will be droughts and more fires than usual, including forest and brush fires on a larger than average scale. When the Sun rises with Sirius we usually have the peak of extreme heat. According to writers like Rhetorius and Mashallah , the combination we have brings either war or conflicts. I see widespread social unrest but not a war that effects this time zone. Twelve years have completed since the last Superior Conjunction of May 2000. The Ascendant was in Leo @18°. Directing the Ascendant, we are starting a new cycle with the Ascendant progressing to Virgo.. It seems to be very easy for people to forget the actual physical attributes of the elements and think of them as symbolic only. This is regrettably the case with some some students of astrology. It’s easy to say “I’m a Fire Sign” without thinking much about what Fire really is and how it relates and interacts with the other elements. 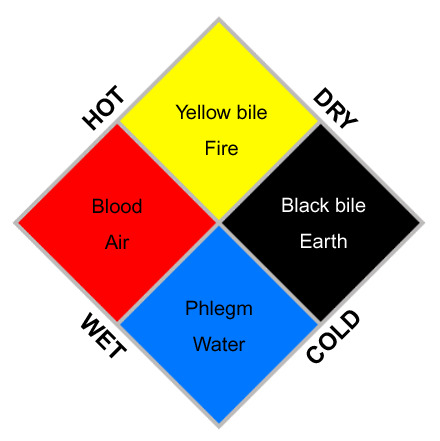 With this in mind I’ve put together a four part series on the elements in the hope of elucidating the physical characteristics and symbolic power of the Elements at the same time. There is no contradiction here. What is above is also below. The element of Fire in Astrology is Initiated by Cardinal Aries. Zero degrees Aries marks the Spring Equinox and the transit of the Sun through the sign of its exaltation. 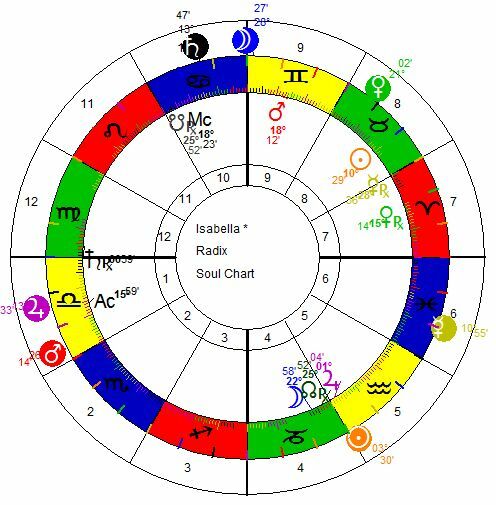 It’s the astrological New Year in the Northern Hemisphere and charts are drawn in order to divine the nature of the following twelve month cycle. This chart is also how we determine the Lord of the Year. The Fire triplicity then moves to Leo – Fixed Fire – and Sagittarius common or mutable. 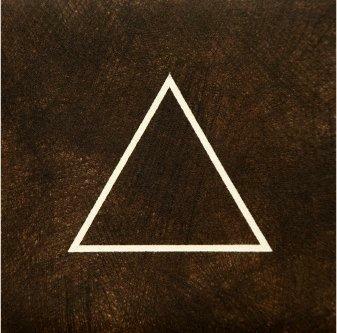 The unfolding of this triplicity gives us a great deal of insight into the nature of Fire in astrology. Fixed Fire is Solar and Mutable is Jupiterean. The latter disseminates the essence of Fire. The ingress of Aries is a time of renewed hope in the waxing Sun and the subsequent growth it produces – think of photosynthesis as well as long, warm days to nurture the crops. Fire and Sun worship is ubiquitous. This should come as no surprise because it satisfies two very basic human needs – heat and light. The second of these has been raised to the level of divinity by virtually every spiritual teaching, even if be as metaphor for the inner light or light of God. There are many, many fire festivals held at this time of year in a multitude of cultures. 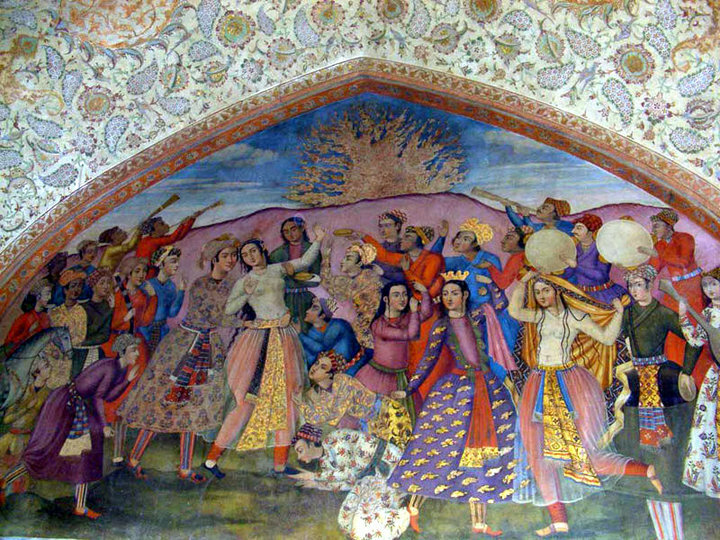 Amongst the most ancient is the Zoroastrian Festival of Naruz or Chaharshanbe Suri. Fire worship and a Solar deity are central to Zoroastrianism. 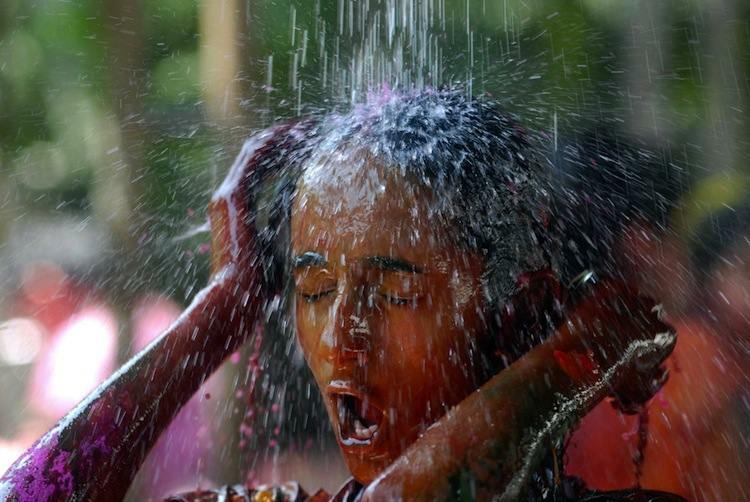 The Hindu Festival of Colors, Holi, is among the greatest of ceremonies in the world, with many million ecstatic participants. The festival takes place in honour of a youth who escaped, without injury, from the clutches of a demoness named Holika after she lit him on fire. Let’s look at the element of Fire and it’s relationship to the other elements. Fire needs Earth for fuel and Air to sustain it. 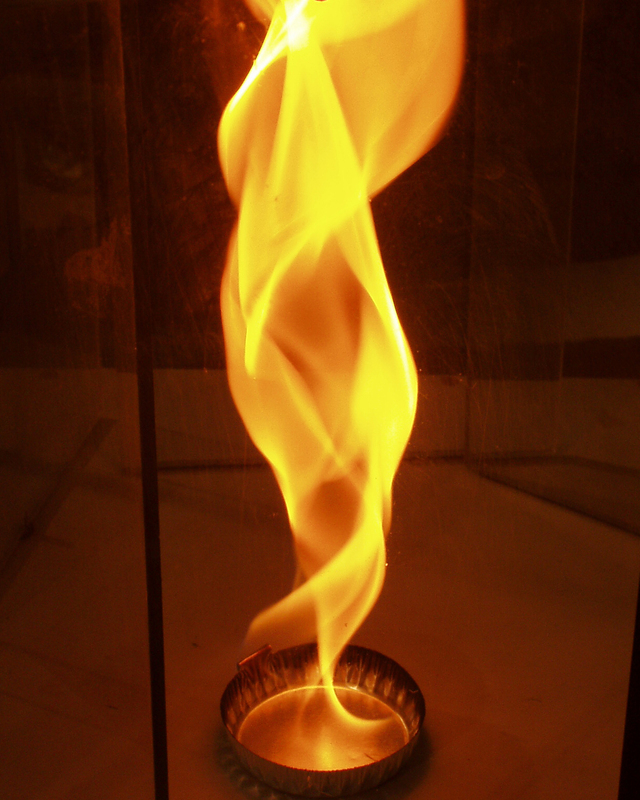 In the process of burning, water is usually released. So what do we mean when we say someone is “fiery”? The traditional response would be to refer to the Choleric humour. But please keep in mind that the Sun sign gives very little information about humours. It is quite possible for a Solar Pisces to be more Choleric than a Sagittarius, although they are likely to express it differently. It’s unusual to find someone with only one humour active, so the art is to learn how the four of them interrelate, combine and repel. Galen’s system gives us the bodily fluid Yellow bile, for choleric. The season is Summer. The primary organ of interest is the Spleen. The humour is warm & dry, the native often idealist However the Choleric Humour is easily angered and bad tempered. You will find that very often those who have a strong choleric Humour dominant tend to treat people like fuel. Fire is volatile. It is visible but has no fixed form. It can burn us as well as cook our food. This is immediately recognized in the physical element of fire. When channeled properly it provides us with warmth and light. There is something about flames that fascinates us. However, if it gets out of control,, all Hell can break loose : the fire consuming everything in its path, feeding on Earth and sustained by Air. It repels water, but water can extinguish the flame if caught in time or in a massive enough measure. Fire is a purifying, masculine energy. It is the source of strong will and energy, just as we temper steel in a forge. Fire creates and destroys. Learning to start and harness fire must have been the single most significant event for human beings. If you can think of human interaction in these terms, imagining all the possibly combinations, interactions and repulsions, you will have a deeper understanding of Traditional astrology.